Christmas in the snow covered Rocky Mountains is a winter wonderland; a frozen picture postcard with Canmore at its heart. Come and share in the magic of the season and ignite your festive spirit at Le fournil Bakery. Here at Le fournil we specialize in traditional French fare, and Christmas is no different. As the holiday season approaches, we are mobilizing our kitchen elves to prepare the special orders, and Chef Pascale Tétreault is sharing some of her secrets to serving them just right on your own kitchen table. An incredible assortment of seasonal treats await you; duck mousse, cranberry pearls, foie gras, and one of our favourites, Joe Beef steak spice. Everything you need for foodie gifts or for your own holiday event. 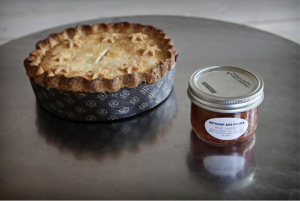 Start with a taste of our tourtière with a side of ketchup aux fruits to start your festive journey. A centre of ground pork, breadcrumbs and selected spices is encrusted with a delicate pastry. This treat is on our café menu at the moment, and served with the ketchup and a side salad. Come by to sample it and you’ll be ordering it for your holiday event. 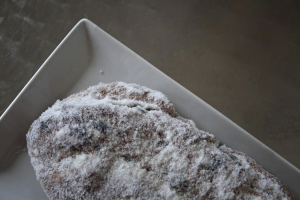 Our holiday Stollen bread is a European classic for morning coffee or afternoon tea, or anytime really. We have Pope Innocent VII to thank for lifting the ban of butter during Advent in 1490, and so it is because of him we have a Stollen as we know it today; a light fruit loaf studded with liqueur-soaked dried fruits, nuts and a marzipan centre. It is delicious fresh, and perhaps even better toasted the next day. If it lasts that long. Of course, Christmas would not be complete without a Bûche de Noël. This year we have three and it’s worth experiencing all! Firstly the “Traditionelle” is a chocolate biscuit base with chocolate buttercream, decorated with meringue mushrooms and dark and white chocolate trees. A must for chocoholics. If chocolate isn’t speaking to you, our “Bûche aux pralines” is a vanilla sponge cake with vanilla and almond praline buttercream, also topped with meringue mushrooms and chocolate trees. Finally, our chefs have designed a modern cake consisting of a lightly spiced sponge, a honey buttercream and a pomegranate gelée. This cake will add a splash of colour to your table. Which one will be your favourite? 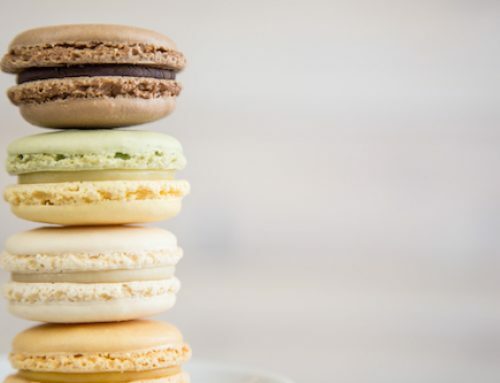 To enjoy the soft, creamy, delicate flavours of these French desserts, eating them at room temperature is a must. Make sure to take your bûche out of the fridge with plenty of time to adjust; this way you’ll make the most of the experience. 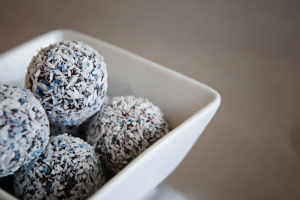 Christmas is full of tempting confections for the family, so for something a little more sophisticated, we have our adults only delicacies: Rum balls. A mouthwatering combination of our own devil’s food cake, chocolate ganache and dark rum, rolled in coconut shavings. This is a festive treat to hoard at home, or if you are generous, share with friends. Perhaps. 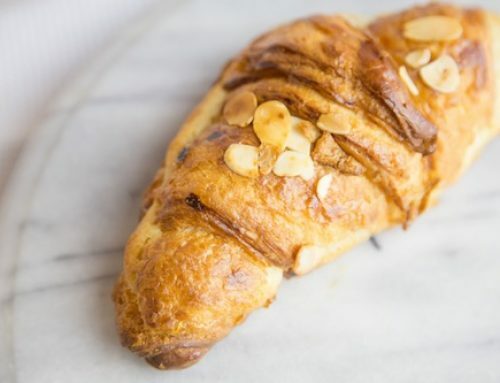 Whether pâtisseries, viennoiseries or pains, we have something special for your festive season. From all of us at Le fournil, Joyeux Noël. Orders will not be accepted after this time. Last pickup day for bûches is December 24th.